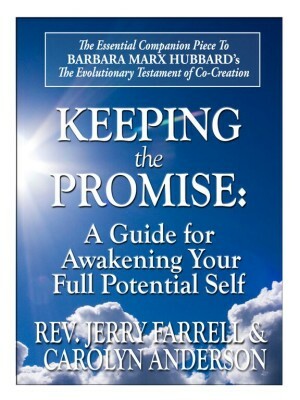 Keeping the Promise: A Guide to Your Full Potential Self by Carolyn Anderson and Rev. Jerry Farrell. This book accompanies Barbara Marx Hubbard’s Evolutionary Testament of Co-Creation and is designed to provide support in evolving personally as a New Person contributing to a New Society.